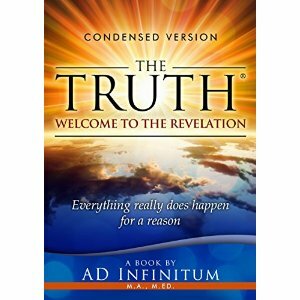 "The Truth: Welcome to the Revelation" emphasizes The Truth that is important for our children and the planet, in the hopes of igniting a transformative and unifying movement among peoples. The goal of "The Truth" is to achieve a new and peaceful world by dramatically changing our inner awareness and reviving our Essence towards peacefulness and fulfillment. The book is fundamentally a path towards a spiritual awakening by discovering The Truth with reflective text that asks readers to pause and think. We must wake up to what's happening around us, such as the common feelings of being lost in today's fast-paced society where we are "connected to soul-less pursuits" and the increasing prevalence of violence globally. We must break free from our Imposed and Foundational Connections and other limiting ways of thinking. I really enjoyed reading this eye-opening and heart-opening book by an author who sincerely wants to share this positive message with the world. "The Truth" encourages us all to be compassionate with ourselves and others. The text is easy-to-read and is organized into three parts. The first part is about the revelation of Life Giving Energy and Source Energy. The second part centers on the evolution that is knowing one's true self. And the final part provides encouragement and motivation to join the revolution to create a new world. This is a book that will make you stop to think, search, connect, contemplate, and see yourself and the world around you in a whole new light with more freedom and more goodwill.